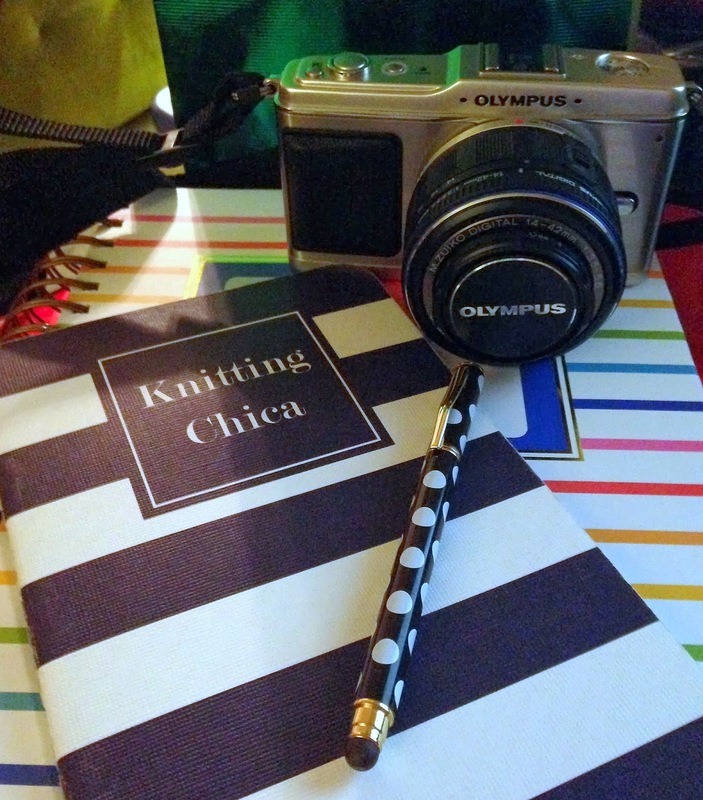 I have been very negligent when it comes to my little home here at Knitting Chica. I have so many dreams and wishes as to what I want this place to be, to become, but life is funny. It takes you down many twists and curves. Rest assured that even though this place has been quiet, I have been working on the background. Working on ways to make my dreams a reality. Learning from the Universe and applying them to my life. I have been so singular in my views on how I want things to be that I have strayed from here. When in fact I should have kept interacting, how else am I supposed to foster the community that I envision if I stay holed up in my little corner not sharing anything? So here I am today, letting go, and continuing my trip down this road, but this time I am sharing it with all of you. 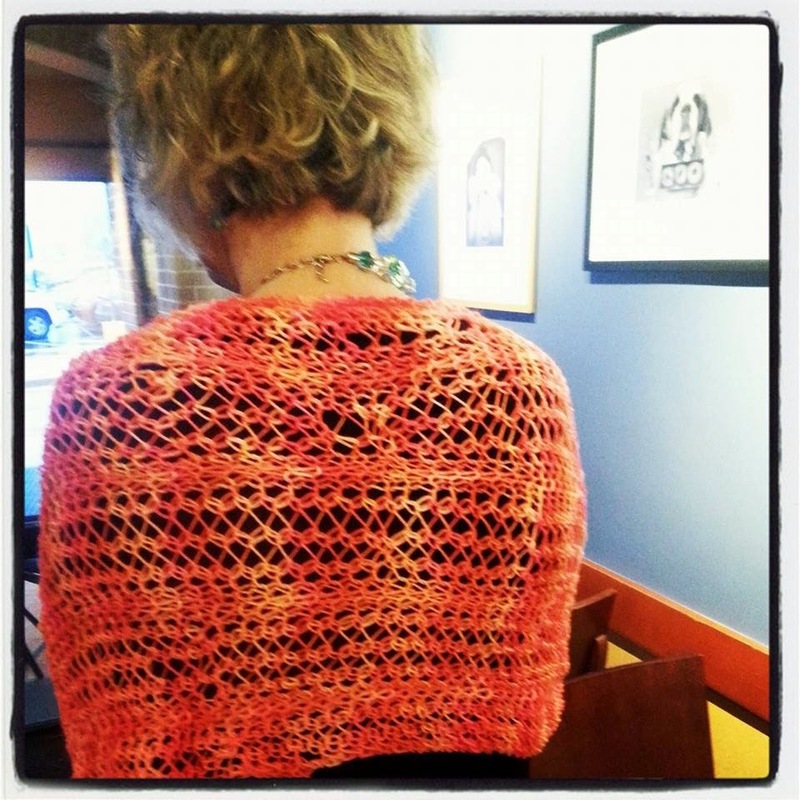 First up, my last post was about the Rose Garden Shawl, I am said to say that I gave up on the pattern. There are just some projects that are not meant to be. I loved the idea of this project, but my brain did not like it. Such simple stitches, but I think it was the simplicity of the stitches that kept my brain traveling to Never, Never Land whenever I worked on it. I am further along than what is shown in the photo above. The colors are just wonderful and as always MissBabs yarn's are just a dream to work with. I never shared her on the blog, but I am a mommy to a Ewe who I named Lucy. Since becoming her mommy, she has gone and become a mommy herself. 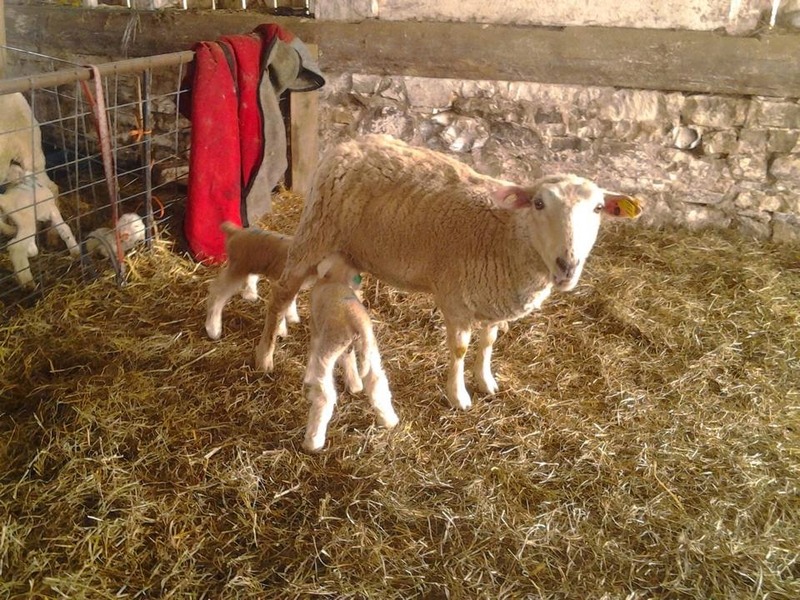 She had twins, a Ram who I named Bam Bam and a sweet Ewe who I named Pebbles. Lucy is a wonderful mom and the babies are adorable. Speaking of sheep, I have a collection of soft, wonderful sport weight yarn that I will be dying. I had to put a temporary hold on dying yarn because of our epic move. But now that we are all settled I can begin production. 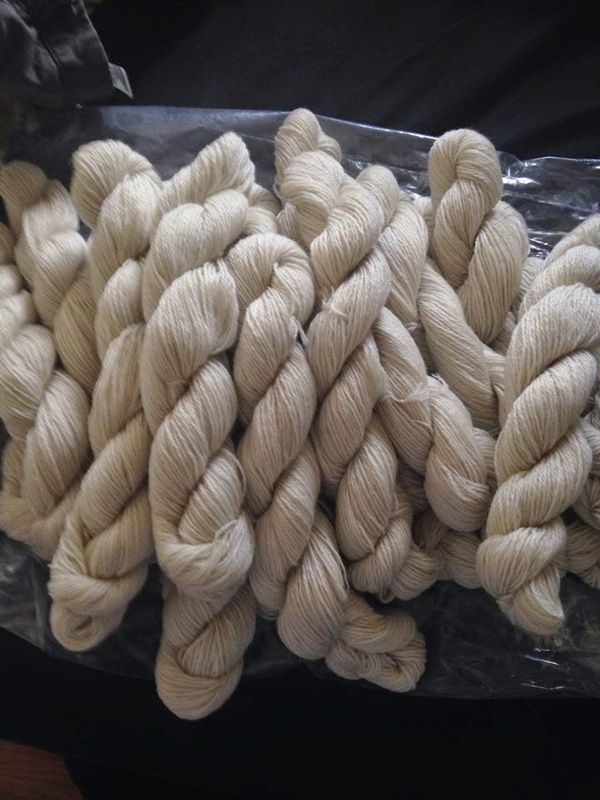 I am in the process of looking for a new farm to source my yarn from. I really would like a place that is local to the MD/DC/VA area. 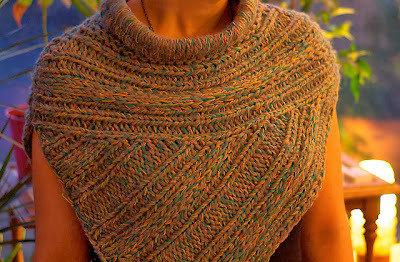 Finally, here is a project completed with one of my hand dyed yarns. I do not know the name of the project she made, but the yarn is 440 yards of Finger weight Superwash Merino in the colorway "Sun Goddess". It totally screams summer and beach fun. 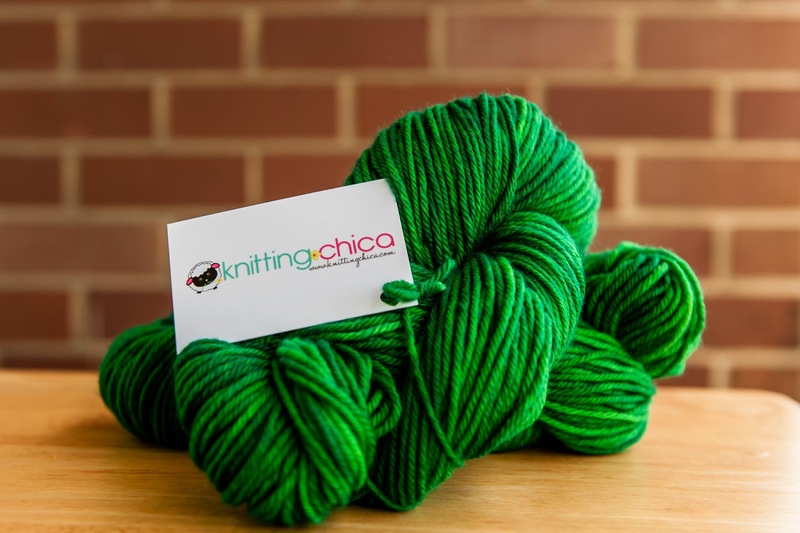 There is so much more in the works, a new website, new online shop, new projects and tons of yarn. So hang in there things are about to get a lot more fun around here. 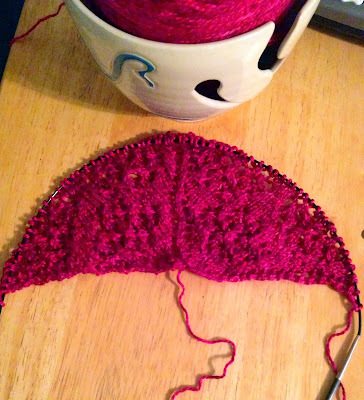 In an effort to finish my work in progress I am back to the beautiful but pain in the neck Rose Garden Shawl. 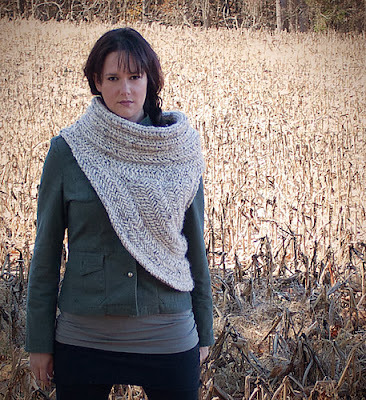 I fell in love with the shawl when I first saw it in the Summer 2012, Jane Austen Knits magazine. I loved it so much that I even bought the same exact yarn in the same color as the one made for the magazine. 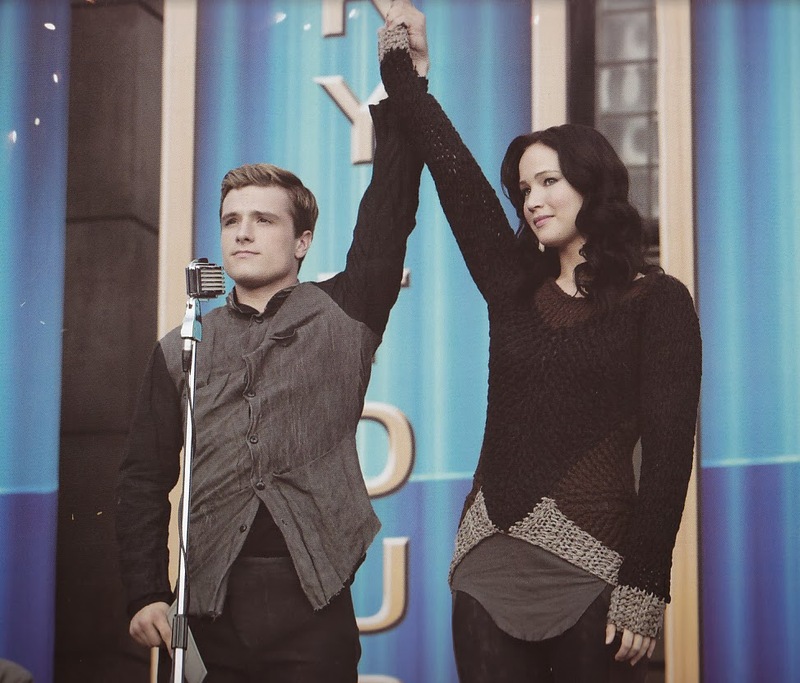 But even with all that love, this pattern has brought me nothing but heartache. 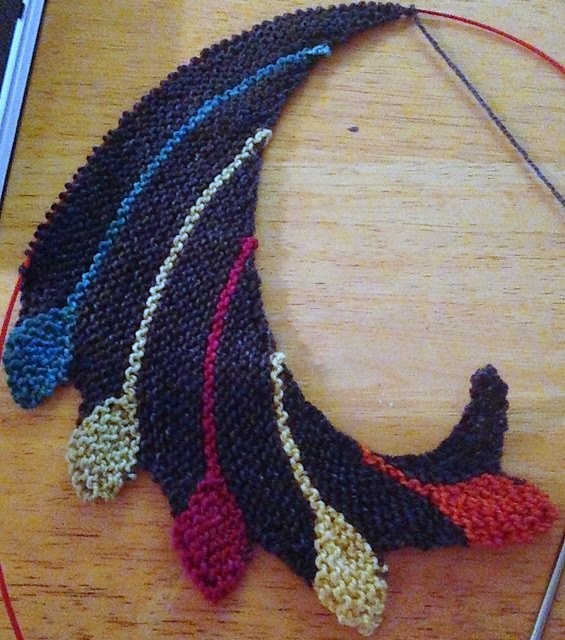 It is almost as if the knitting gods did not want me to complete this project. First the yarn was so tangled that I tried to untangle it for a month, gave up and threw it in a box. One of my knitting friends took pity on me and took on the task to untangle said yarn. Which now means I can make the project. Nope, I started working on another big project and put it aside and I forgot about it. Finally I started it. It was going great I finished the first repeat and I found three major mistakes early in the project. I was so frustrated I decided to put it aside. I finally decided to pick it up a second time and I did the same exact thing I did above! I mean the SAME EXACT MISTAKES ON THE SAME SPOTS!! Now I am back to my third try and so far so good. No mistakes, no emotional breakdowns, no tangle yarn. Just a shawl that is knitting up nicely. Hopefully the saying "Third times the charm" will hold true for me and I will be able to finish the shawl this time around. Seems that I was really into hats in 2013, though I must say that 2 of the 6 hats were Christmas presents, Socks came in second with 3 pairs completed. I did not get much spinning accomplished in 2013 but I do plan on changing that this year. Aside from working on new techniques, I have to work on a sweater for Mr. P and complete two projects that I have had on the needles for a while. Over all, I guess I did not do so bad. I just need to be focused and be more organized. What are your goals for 2014? How did you do in 2013? Another year is coming to an end and I have completely failed at sticking to my plans. Maybe I am just not meant to set goals. Maybe I need to just go where the wind takes me. Who knows, all I know is that I did not complete all the projects I set myself for this year and I sure as heck did not stick to the no buying yarn thing. Shameful really. I have managed to only complete nine projects this year. Out of those nine finished projects only three where from my project list that I posted about here and here. I have three projects that are work in progress, one of those is a long term project as it is a patchwork blanket made from left over yarn. Here is the link for the pattern page for the blanket, it is perfect for all the left over yarn and you do not want to do the Beekeeper's Quilt. Now, I must say that even if I did not make my Knitting goals, I did complete project plan # 3. This project consisted of me finally finishing, putting together and learning how to use my Ashford Kiwi 2. While I will not call myself a master at using my wheel. I am proud to say that after getting a 2 hour crash course on how to spin on a wheel, I am well on my way to becoming a spinner. Another goal that I accomplished was to dye yarn. I did a bit of it this year and all the yarns I dyed were a success. I failed to photograph most of the yarn that I dyed, but I am so much more confident in my dying skills and cannot wait to get better. I do not think I am going to set myself project goals for 2014. I think I am going to work on getting better at my craft and getting better at documenting my journey. In order to do that I have armed myself with tools to help me because it is not just about needles and yarn. Shown above Simplified Planner for planning projects and posts, my personalized May Designs Notebook for notes, My Olympus to take photos and of course my trusty Mac Book. So here is to a more productive 2014! The weather is getting colder and all I have rolling around in my head is wearing cozy, big fluffy knits. Unfortunately, I have not made much progress when it comes to my projects. But yesterday a girlfriend and I went to watch The Hunger Games: Catching Fire and I felt a new surge of inspiration and desire to bust out my knitting needles and knit myself some cozy knitwear. 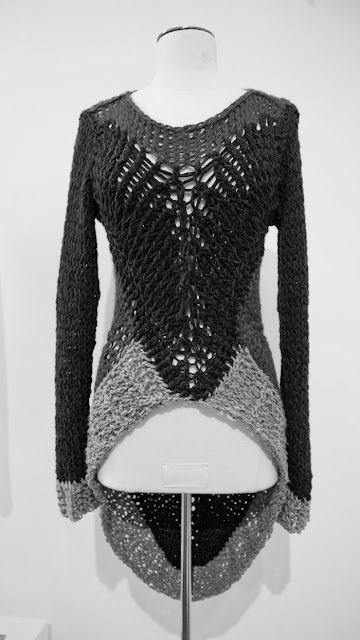 The Costume Designer for the movie was Trish Summerville , the knitted Cowl shown above is by Maria Dora. I have not had any luck finding patterns for the second and third photo or even a better photo of the third photo. I am sure eventually patterns will show up for them so for now all I can do is dream about them. I am a huge fan of Alice Lemoine's knitwear. I have been a fan of hers since her days with Rick Owens so is no wonder that I fell head over heels for this sweater. But at the same time it makes me sad because there is no chance that I can afford it. I mean seriously, check out Barney's and get ready for sticker shock. 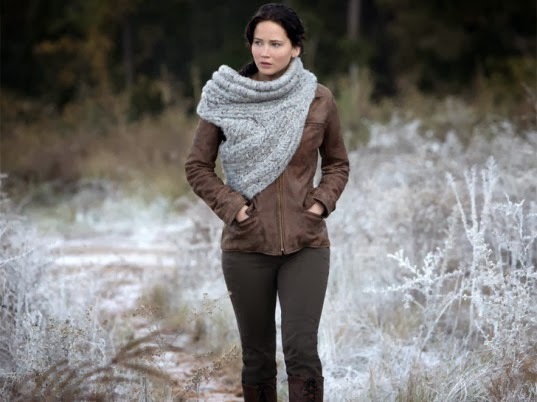 Now on a happier note I did find a few patterns on Ravelry for the Cowl that Katniss wears in the movie which was designed by Maria Dora. My favorite of the three patterns shown above is the one by Katharina Schnorr*. While I am not a fan of the color choice for it, I think this one is the most wearable piece. It covers more of the body and the neck is smaller so you are getting real protection from the cold. Another added bonus is the it is a free Ravelry download. 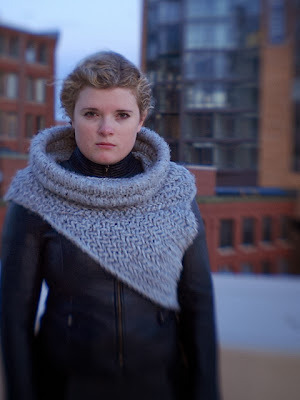 If you do not like any of the Cowls shown above, you will be happy to know that Maria Dora the designer of the Cowl is planning on releasing a pattern for the Cowl. I do not know if it will be exactly the same Cowl or one inspired by the original, but either way I am sure it will be amazing. It is amazing how I view movies now compared to how I viewed movies before I became a knitter. While I have always been interested in the costuming in movies, now whenever I see knitwear that I like in the movies I start to envision how I can make it and work it into my wardrobe. Now all I am hoping for is to see more patterns inspired by the movie to pop up. Have you seen the movie? What do you think of the Knitwear? Which is your favorite piece? *You can click on any of the pattern photos and it will take you to the designer page on Ravelry. 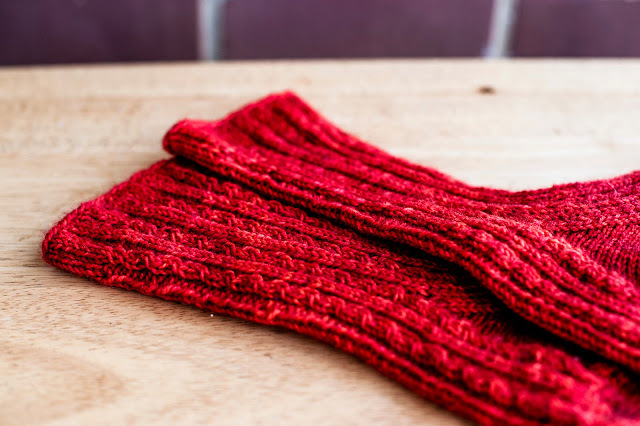 My first project for 2013 was supposed to be You can Call Me Al sock pattern from Knitty Fall 2012. But while working on the pattern I found some issues that I did not like. So I decided that I would scratch that pattern and just make it up as I went along and thus the "You Cannot Call Me Al" socks were born. I did not know what else to call them since I made up the socks on the fly. 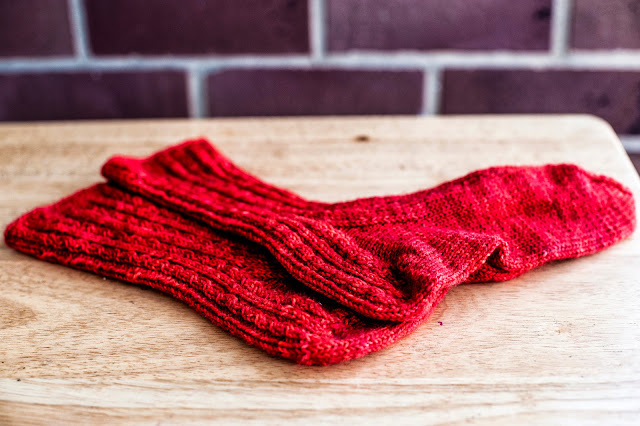 I thought that I would write out the pattern and upload it to Ravelry, but after searching on Ravelry I found similar sock patterns so I decided to not do it. If I ever design my own pattern I want it to be as different as possible to other patterns. I really love the yarns from Cephalopod. They are always so bright and the yarn always feels amazing! So far this year I have made two projects with their yarn and there are more in my future. You can kiss my 2013 Project Plans good-bye. I started out with good intentions but I have totally failed at keeping them. I have made some of the projects on my list but for the most part I have cheated and worked on other things. 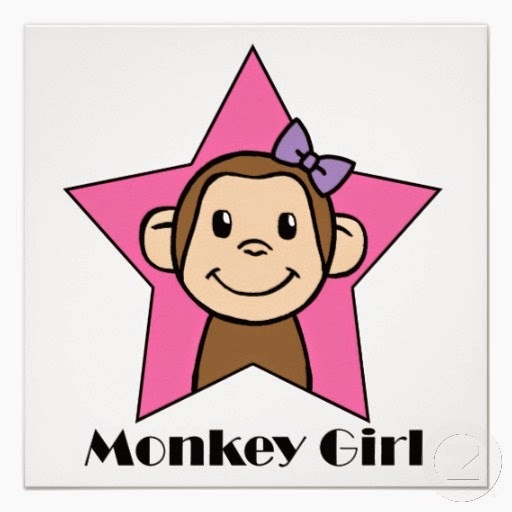 Today I bring you one of the patterns I cheated with and it is the all famous Monkey Socks by Cookie A.
I can totally see why this pattern is so popular. It had me addicted from the start. It was easy enough that I could work on them while watching TV but interesting enough to keep me going. The first sock took me a little while to make because real life kept getting in the way, but the second sock I was able to finish in 3 days. If you have not made these socks I highly recommend them. I am already plotting my next pair. 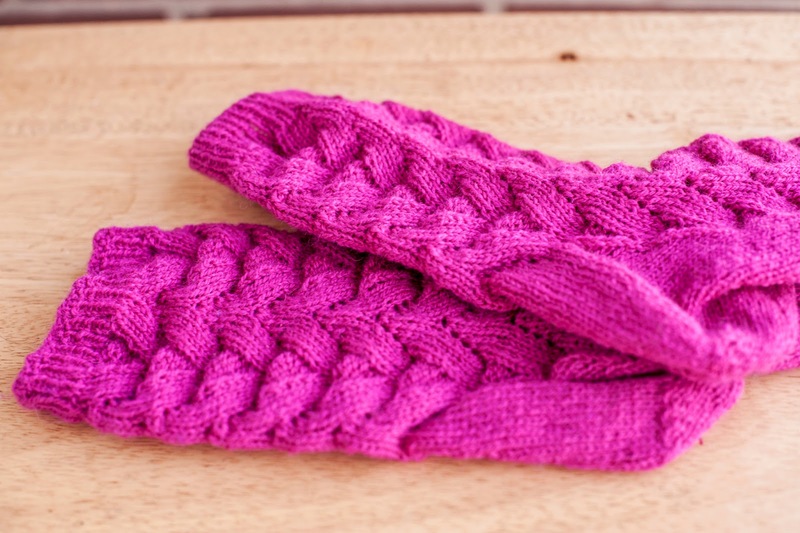 As for the yarn that I used, I loved the color, bright and totally girlie but I do not know if I will work with it again for socks. It was always splitting, it is very annoying when you are working on small needles. If you do not mind the splitting then I recommend it, the price value is very good, colors are fun and it does not feel bad in your hands. You can read more on the project and view more photos on my Ravelry project page here. All Material here unless other wise stated is property of Knitting Chica. You are not allowed to use any of my material with out my permission.